When it rains it pours, the same can be said about the Samsung and its Galaxy Note7 smartphone. 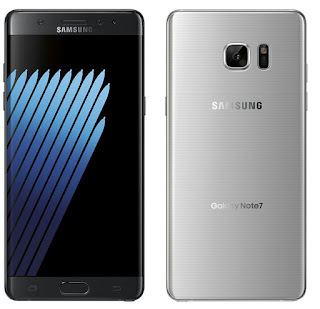 After been this latest leak Samsung better be ready to unveil the Galaxy Note7 really soon cause at this point there is almost nothing that we don't know about the device. Evan Blass, the guy behind a lot of smartphone leaks has just realised a photo of the Galaxy Note7. The photo not only confirms the "Galaxy Note7" name but it also shows the likely colour options that the Galaxy Note7 would come in. 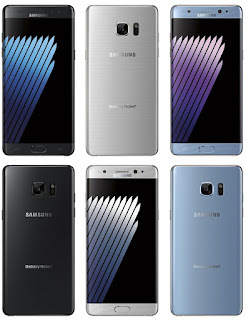 Based on the photo we can say that the Galaxy Note7 would come in a choice of Black Onyx, Silver Titanium, Blue Coral colour options. According to Evan Blass, the Galaxy Note7 would sport a 5.7inch QHD Super AMOLED display, 4GB RAM, 64GB internal memory, a 12MP/5MP camera combo and IP68. For the rest of our Galaxy Note7 rumour round-up, click on my of the links below.